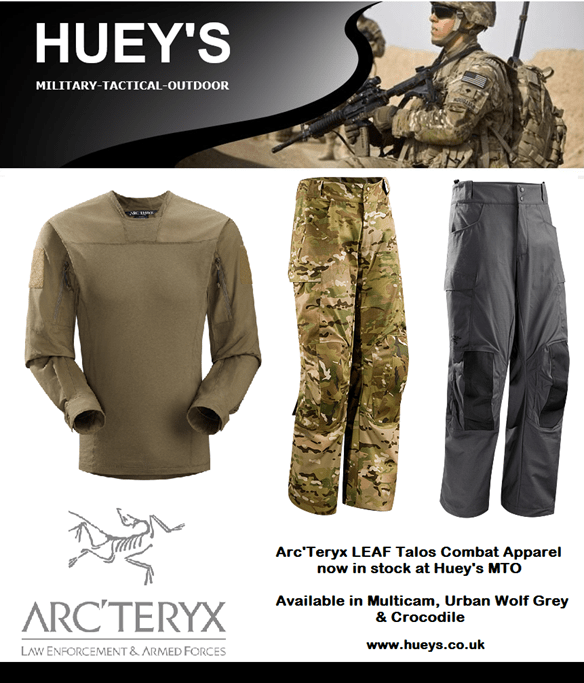 Just to let you know that Huey’s MTO is now stocking the superb quality, premium Arc’Teryx LEAF Talos Combat Apparel. Available in Crye Multicam, Crocodile and Wolf Grey. As you know Arc’Teryx LEAF is regarded as one of the best manufacturers of tactical clothing and is used by several Special Forces groups worldwide. Now you can get yours at Huey’s!